The Court of Appeal in Ilorin, Kwara, has nullified a lower court’s judgment that awarded N4 billion in damages to President of the Senate, Bukola Saraki, in a libel case he instituted against Sahara Reporters. Mr Omoyele Sowore, founder of the online news outlet and presidential candidate of the African Action Congress (AAC), Mr Omoyele Sowore, was joined as a defender in the suit. In the judgment delivered on Tuesday, the Court of Appeal set aside the verdict of Justice A. S. Oyinloye of the Kwara State High Court given on June 28, 2017, Sahara Reporters said in a statement. The appellate judges, Ibrahim Salauwa, Chidi Uwa and HammaBarka, unanimously ruled that the judgment be nullified and assigned to a new judge at the lower court for retrial. The account of Sahara Reporters Media Foundation, a Non Governmental Organisation, was garnisheed in the suit between Sahara Reporters, an online citizen journalism news website, and Saraki. This is in spite of the fact that the foundation was never named in the suit, neither was it a news publishing platform. Justice Oyinloye had entered a judgment of N4 billion against Sahara Reporters and its founder, Sowore, over allegations of defamation of Saraki. However, the judgment was used to obtain a garnishee order against the foundation, a separate entity. Sometime in 2017, Saraki had sued Sahara Reporters and its founder to the tune of N1billion each as general damages for four different publications on Sahara Reporters. He also sought an “injunction restraining the defendants from further writing, printing or causing to be written, printed or circulated or otherwise published of the claimant, the said or similar libel”. However, Stanley Imhanruor, a senior lawyer from Falana & Falana’s Chambers, who represented Sahara Reporters at both the High Court and the Appeal Court, argued that his clients were never served in the motion on notice. Imhanruor said the defendants were not given an opportunity to defend themselves during the hearings that led to Justice Oyinloye’s judgment. Paul Erokoro, Saraki’s lead counsel, had claimed in court that he could not serve the counter affidavit on the counsel for Sahara Reporters because there was no address for service within the court’s jurisdiction. He argued that he had no obligation to serve counsel directly unless the court ordered him to do so or if he sought the court’s leave to serve counsel directly. Imhanruor contested this argument, stating that his chambers had sent one Adams Adebara to the chambers of Tunde Olomu & Co, to pick up the counter affidavit, to no avail. He told the court that, rather than give the document to Adebara, the chambers rudely dismissed him. 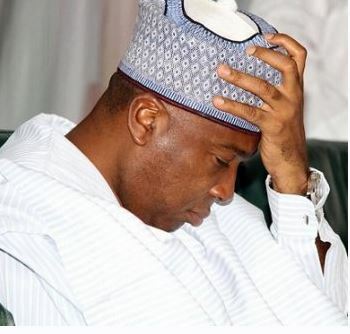 He explained to the court that Saraki’s lawyer had asked Adebara, who was to collect the counter affidavit, to meet with him on the premises of the court so that the bailiff could serve him, but Erokoro failed to deliver on his promise. He told the court that multiple calls to Erokoro were ignored. The case was, however, withdrawn from the lower court, having lost faith in the process and an appeal filed at the Court of Appeal. The protracted case had taken several turns before the eventual judgement of the appeal court. In one of the hearings at the Federal High Court in Ilorin, journalists and student activists who had gone to court to observe the hearing were harassed by alleged loyalists of the Senate President.